Our face and hair—being the first two body parts that easily get notice by onlookers—complement each other. If every time you get out of a salon after a haircut sesh nobody bothers to look at you, you probably have gotten the wrong style. All too often, this style-to-face mismatch ends in frustration. But no need to worry. This doesn’t mean you have to give up. You just need to know first which of these facial shapes fit you: Oval, round, square, oblong, heart and diamond. And from there, the best cut and style follows. The oval face is the most forgiving of them all. With this form, you can decide to go extreme. Long locks or cute short cuts go along well with it. In between usually takes away from the symmetry. If you have this shape, you’re so lucky to wear any style you want. The rule of thumb for round-faced ones is to veer away from a one-length bob. Have layers that define your facial structure visually instead. It gives more depth, too, to your look. Remember that the goal with this shape, especially if you don’t have a strong jaw bone for framing, is to elongate the face. So wear a long tress and add soft textured bits around your face. You may also opt styling a pomp with your fringe. Ask your stylist for minimal layers and a deep side part/side sweep. Soften a square shape if you have this kind of face. To do so, sport a curtain-like trimming that’s shorter in the middle and gets longer toward the corners. Keep your length to take the edge off the corners of your jaw, and you may add a short layer around the eye area or a long fringe. If the mane is above your shoulders, add lots of movement with texture. What about for oblong shape? Well, longer, narrow faces prefer cuts that totally add volume and some interest at the jawline. If you have a long neck, it’s good to frame it with layers. Here, it’s all about facial features, neck and collarbone line, and drawing attention to what you want to accentuate. Longing to channel your inner Taylor Swift, decrease the width of the forehead and increase that of the lower part of the heart-shaped face. To help prolong it, a long, side-swept fringe is effective to show off the forehead or layers around the cheekbones. Also, it’s recommended to keep the length above the shoulders so the ‘do is full around the jaw. Like Keira Knightley, those with a more angular, diamond face can play with a bob or go with a straight-across cut. Portions, however, are vital. A hair cut with layers works well, yet the proportion of the length has to be right. A chin-length bob or shoulder-length style with wispy edges, likewise, is suggested. Reducing width at the cheekbones and shortening the overall length will be most flattering in a cut. Thou shall not forget to wear the right haircare products to maintain the health of your locks severed by a pair of shears. To ensure its natural growth and nourishment, choose NOVUHAIR. This topical scalp solution combines 19 unique ingredients that promote growth and prevent shedding of the hair. 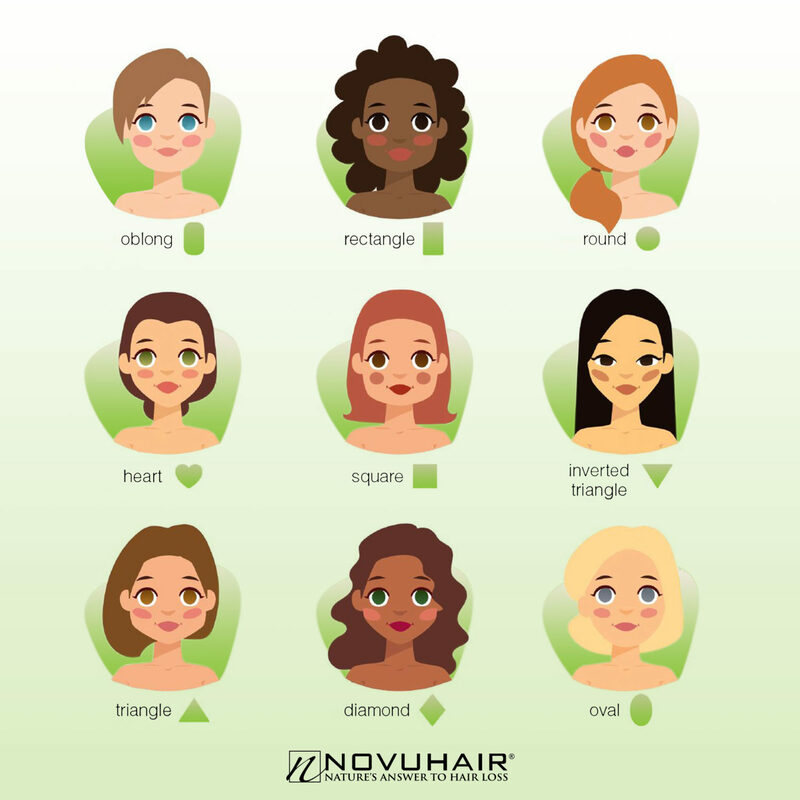 So now that you figure out your face shape and its corresponding hairstyle and proper maintenance, it’s time to book your next salon appointment. Go out and get that badass cut perfectly matched for you!